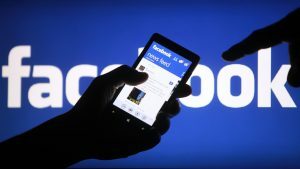 The chief executive officer of advertising group WPP, Sir Martin Sorrell, has said that the company’s investment in Facebook is set to exceed $2 billion in the current calendar year. WPP, which is the largest advertising group in the world will however maintain Google as the top destination for media investment. A resetting of the group’s client portfolio could result in Facebook beating News Corporation as the second top destination for media investment. “Google ranks number one in terms of the destinations of our media investments. Facebook ranks third (but) may this year actually become second,” said Sir Martin in an interview with CNBC. According to Sir Martin, the amount of investment in Google in 2017 has been about $6 billion. While the amount invested in Facebook was $1.7 billion last year it is set to increase to over $2 billion this calendar year. The advertising group is also set to double what it will be investing in Snap compared to last year from $100 million to approximately $200 million. This comes on the back of a report which suggests that there will be fewer teenagers using Facebook this year with most of turning to Instagram or Snap instead. The remarks by Sir Martin coincide with the latest financial results of the advertising group showing that sales had slowed and future growth was also likely to be unimpressive. WPP placed the blame on increasing uncertainty as a result of rising populism in the West particularly in the United States and in the United Kingdom as well as bumpy growth in markets such as China, Russia and China. Consequently the advertising group has forecast a growth in sales of between 0% and 1% which is lower than what had previously been projected. This could be the worst year for WPP since the global recession when sales fell by approximately 8.1%. Sir Martin also acknowledged that consumer goods firm had come under increasing pressure from investors to cut costs. About 30% of WPP’s business comes from these consumer good firms. Unilever, for instance, disclosed earlier in the year that it would be reducing the amount it spends on marketing. The advertising agency Ogilvy & Mather which is owned by WPP counts Unilever as a client. On the plus side turnover at the advertising group is likely to be assisted by increased client spending and new business wins with such events as PyeongChang Winter Olympics and the FIFA World Cup in Russia helping a great deal.